Every organization has people that don’t quite fit the mold. Maybe they lied on their application or the hiring manager didn’t put in the effort to find the right person. Regardless of the cause, having the wrong people on your team will keep it from moving forward. On the flip side, having the right people on your team produces amazing results. Churches seem to be the worst when it comes to bringing on the wrong people. This often stems from the desperation of needing a volunteer, and quick! If not desperation, the problem is more than likely the assumption that the church should veer far from hurting people’s feelings. So, we let someone on the worship team who can’t even sing, and the list goes on. It is quite possible that you have someone on your worship team that probably shouldn’t be there but you struggle with the right way to take care of the issue at hand. If you are experiencing this, it may be time to have a difficult conversation. Otherwise you could end up overly frustrated along with the rest of your team. Of course, I am sure there are others, but most issues stem from these three things. To help these people, you must first start with open communication. When there is a problem with someone on your team, a good first step is to talk to them about it. I know, these conversations are extremely uncomfortable, which is why most avoid them like a plague. Well, you owe it to yourself and to them to do it anyways. It is simply not fair to remove someone from the team when you haven’t taken the time to help them fix the problem. Believe it or not, they may not even realize that it is a problem to begin with! When having this tough conversation, be direct but respectful at the same time. Don’t flower things up or beat around the bush. Be honest in a loving way. Be careful not to attack them as a person, but to simply express how the behavior is not working for the team. And, if the behavior doesn’t change, other decisions will have to be made. Give them the opportunity to grow or go. It is usually best to first give your team member the option to grow and fix the problem at hand. I have found that a 90-day period works well in this situation. During these 90 days, be sure to meet with them on a regular basis (every other week or so) and evaluate how things are going. When having these tough conversations, it is important that they are one-on-one. Otherwise, there is a good chance you could embarrass them in front of the team. Also, consider starting the conversation by expressing something they are doing well. Then, explain the problem in a loving way, including why it is a problem and the best way to fix it. Ending the meeting on a positive note is also important and could be as easy as thanking them for the time they have invested into the team. After the 90-day period, if the problem is fixed, great! If not, then it may be a good time to help them find somewhere else in the church where they can effectively serve. It is much easier to start with the right people. However, this means that you may have to go without a certain instrument for awhile. But trust me, it is far better to go without than to have the wrong person in that position. To find the right people, you should have a solid system in place. I have written all about my process in this post: 3 Steps to Successfully Add New Worship Team Members. I invite you to copy anything from my process and make it your own. Get our latest and best content delivered right to your inbox! Once again, an awesome and very helpful article! Thank you so much for this ministry help you are giving to all of us as worship leaders. Your wisdom and insight is so appreciated!! I appreciate the suggestion to give folks the chance to either “grow or go”. If we don’t set any kind of deadlines and expectations, nothing will ever change. Thanks for the reminder! Thanks for your reply to my previous comments on the other Blog. Greatly appreciate it. And thank you for this one. A very good way to keep perspective. I don’t see where you address the possibility of an immature worship leader. Could the problem be the attitude of the worship leader? 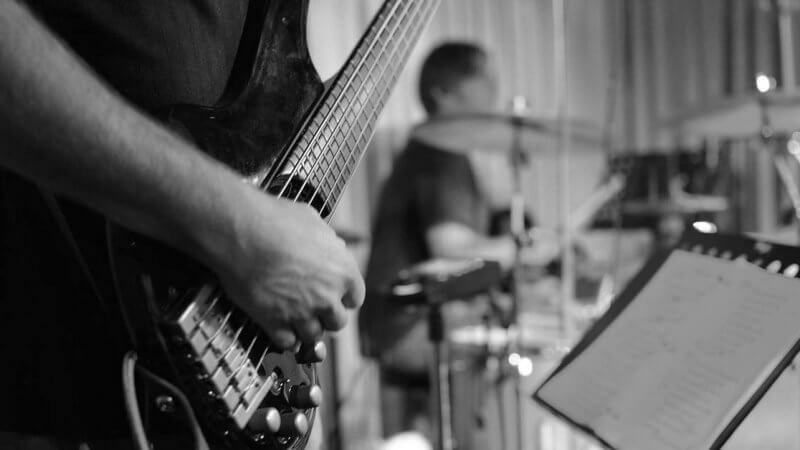 Should the worship leader be helping to develop the skills of the musicians? Should a worship leader be growing in their spiritual walk? Learning to PRAY “for” the team members. Learning to PRAY “with” individual members to develop unity. Learning to pray for their own attitude of Worship Servant vs Worship Leader. Don’t we all have room to grow? Are You Helping Your Worship Team Grow Spiritually? I just spent time in prayer about a couple of team members that I am struggling with. God’s timing is perfect, and He used you to answer my prayer today. Thank you. Thanks for the comment, Leslie. Glad the post was helpful! Kade Young brought Collaborate Worship into existence with a dream of helping worship leaders around the world fulfill their calling with excellence. He has been leading worship since 2005, is a graduate of Rhema Bible Training College, and currently the worship leader at NoLimits Church in Owasso, Oklahoma.